Batchoy with fresh egg from Netong’s. 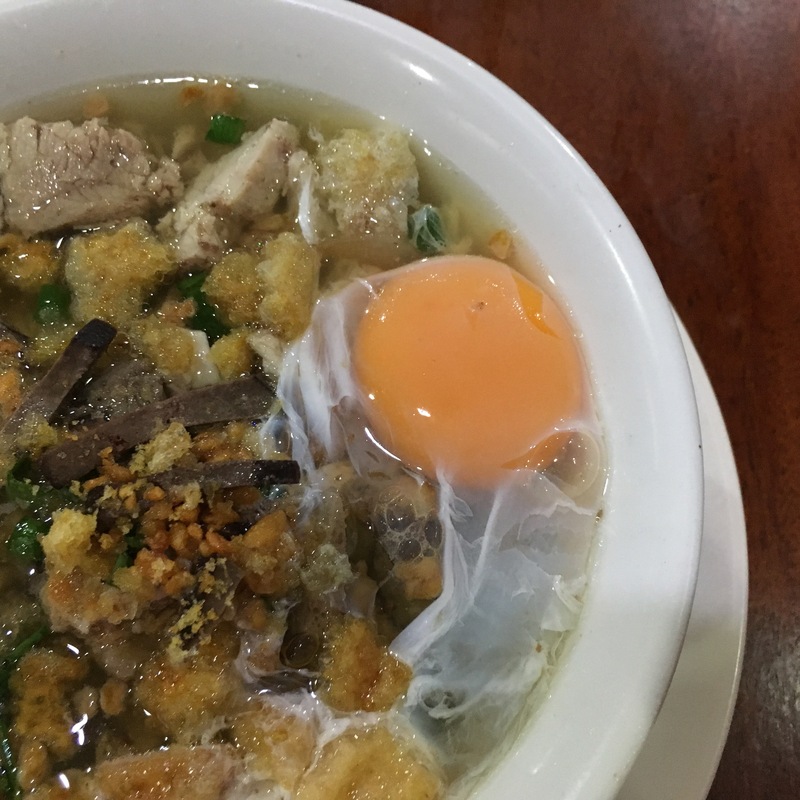 Iloilo is known for its La Paz batchoy, a pork noodle soup filled with innards and egg noodles, topped with fried garlic, spring onion, and pork cracklings. It is believed that the dish was invented at Netong’s, located in the middle of the La Paz market. Netong’s was started in 1948 by Leonito Guillergan, whose nickname is Netong. “Now it is owned by my father. He is the 15th son. He’s the youngest. Before my father, it was my tito who was handling this business,” says Patrick Guillergan, Netong’s grandson. He explains that the broth is still made by his uncle, though he’s fairly sure that his father knows the recipe as well. Everything is made the same way his grandfather made them. It’s a time-tested, time-honored taste, and an Iloilo tradition as well. “When you have a restaurant, the hardest part is to maintain the quality of the food. I think for the longest time, Netong’s maintained the taste and the quality of batchoy,” Patrick says.